Remove threads from celery and cut into cubes. Remove pith and seeds from the red pepper and cut into cubes. Cut tunny fillets into strips and sprinkle with salt. Heat some oil in a wok, stir fry fillets and remove from wok. Stir fry celery, pepper and tomato in the remaining oil. Add the beer to the fish stock and heat up for 3 minutes. Stir in pressed garlic and season with salt and pepper. Place the tunny fillets and the hot sauce on preheated plates and sprinkle with Cajun spices. 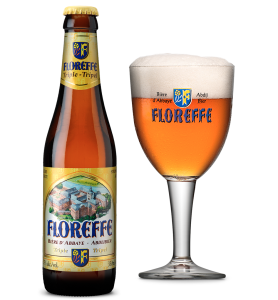 Serve with French loaf or ciabatta accompanied by a nice cold glass of Floreffe Triple.